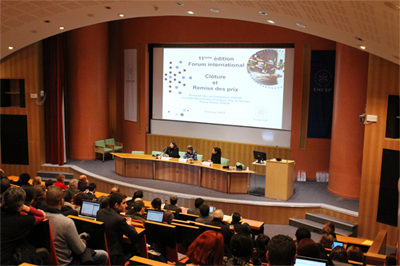 With success, the 11th edition of the International Forum was held at the Rennes EHESP campus. EHESP’s annual forum is a part of the teaching program for civil service executive program’s students such as: Public health and social welfare inspector program, Social care institution management program, Health care institution management program, Health care institution administration program and Hospital nursing administration program. The introductory lecture by Jean-Louis Lamboray, President of the association Constellation, doctor and advisor to the World Bank and UNAIDS, opened the International Forum. Students who have returned from their placement abroad during the course of the past 4 months gave workshop presentations of what they learned from their placements. There was a wide range of workshop topics: combating social and geographical health inequalities; social and health policies; organisation, coordination, regulation and management of health services; environmental health; health promotion and prevention. Two of the placement feedback workshops will be in English. 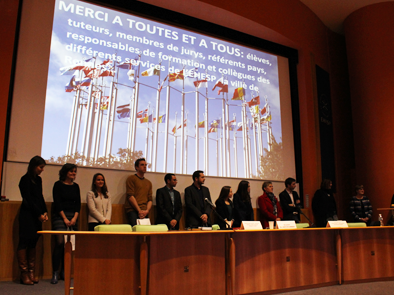 Prizes were awarded at the closing of the forum, in order to reward the best workshop presentation. A photo contest was also organized and the best shots rewarded too. 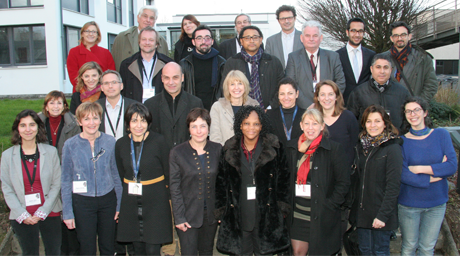 International internship tutors, foreign boards and members of the EHESP. The International Forum was also an opportunity to meet and interact with personalities from different countries. For this 11th edition, internship tutors represented 6 countries: Burkina Faso, Hungary, Macedonia, Morocco, Netherlands, Quebec. They had different experiences (hospital experience manager, project manager in associations and non-governmental organizations…), in different sectors (healthcare, socialcare…). Finally, an international party was organized by the B2E (Office of Pupils and Students), it was a great conclusion, since pupils, students, international tutors, teachers and school staff were present.